A trip upside-down memory lane. Although we never learn his name, In Between is the story of a man diagnosed with and suffering from a terminal illness. In the opening scene we see him wheelchair bound and confined to a hospital, before travelling through the key moments of his life as he remembers them: from the lows of his childhood fears and terminal diagnosis to the highs of his wedding and the birth of his child. 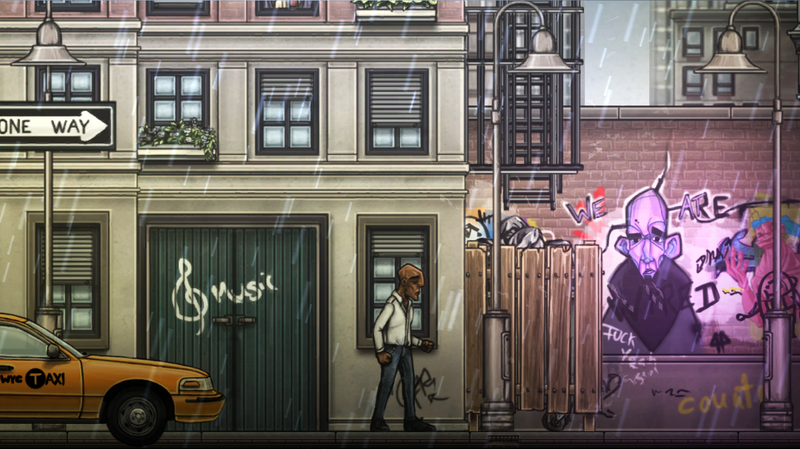 Despite the charming hand-painted art style, this is not simply an interactive story but a puzzle-platformer, with each of these pivotal moments separated by a set of levels. As with most platformers, each level places our hero (henceforth referred to as “The Man”) at point A and challenges the player to get him to point B while traversing a set of obstacles. Interestingly, the standard jump button isn’t used and neither in fact are any others. Instead, In Between grants the ability to control gravity by pointing it up, down, left or right using the right stick while moving with the left, meaning that any surface free of spikes can and must be utilised in pursuit of the goal. Although every one of these levels has the same drab, brown aesthetic, each of the five sections does introduce a new mechanic inspired by one of the five stages of grief, to change the way the levels must be tackled and help keep the game feeling fresh. Denial of his illness sees a wall of darkness chase him through the levels. Anger adds big red balls of instant death to the equation. This continues until we finally see acceptance reached, all the while catching smaller glimpses into The Man’s life through “mind images” and his continuing narration. In practice, some of these emotions are implemented better than others. While the later stages of bargaining and depression are genuinely interesting additions and create some challenging puzzles to solve, the early denial and anger levels really only serve to hurry you along, removing the option of stopping to consider the next step and forcing you into making mistakes. That being said, it is usually pretty clear what is required of you from the get-go. 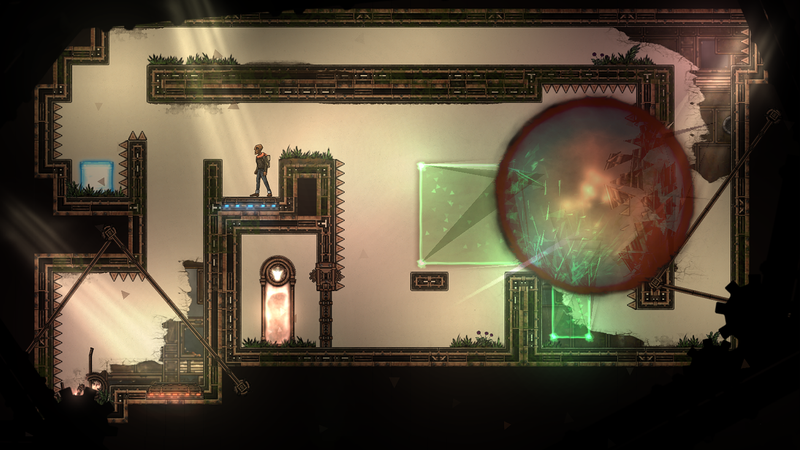 The majority of In Between’s difficulty certainly stems from the latter element of the puzzle-platformer namesake; at times, requiring precise platforming to reach the exit of a relatively simple puzzle. The result of this is that often I’d have a puzzle fully solved only to touch a spike and have to redo the whole thing. Only adding to my annoyance, certain levels also feature slow moving platforms, light sparks or balls of anger that force you to stand still and wait before you progress. All of this combined causes the game to become simply frustrating rather than fun at points, with the sense of satisfaction from solving a puzzle pretty much lost the second or third time around. The amount of content on offer here is also somewhat underwhelming with each of the five (well, technically six) sections containing a mere ten short levels each with the final three being optional to progress to the next stage, although these bonus sections do house some of the most interesting puzzles available. Unusually for a platformer, there are no collectables whatsoever so unless you somehow miss one of The Man’s memories during a puzzle, there really is no incentive to replay and even the game’s 10 achievements can all be unlocked simply by playing completing all of the levels, assuming you die at least 100 times along the way. In total In Between took me around 3 hours to complete and considering the price point is similar to other, longer games in the genre such as Braid, I’d try looking elsewhere first for an excellent puzzler experience. 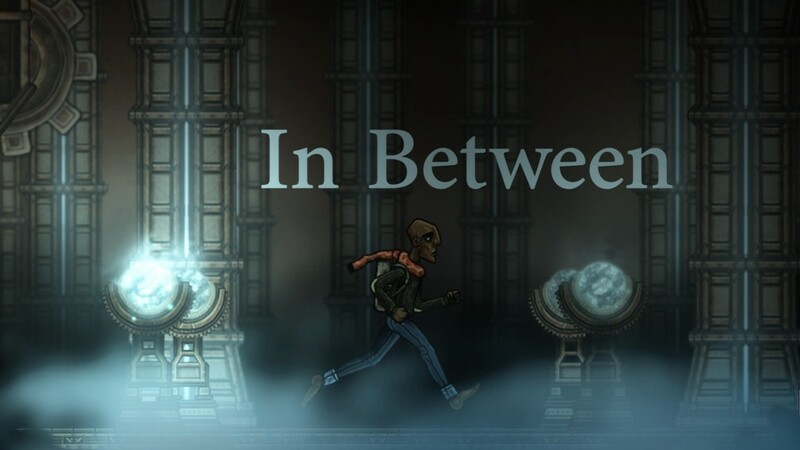 In Between is a confused puzzle-platformer with some interesting ideas but ultimately, the story held my interest more than the game itself.